PSV remake hits Japan in January. 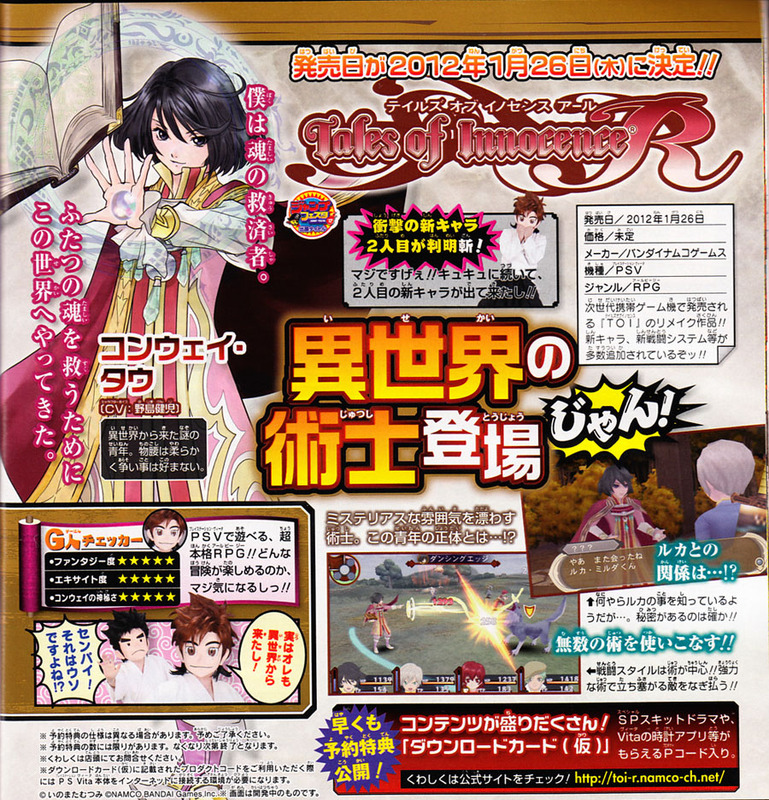 This week’s Jump has the first look at a new character in Tales of Innocence R. Kongwai Tao, voiced by Kenji Nojima, is a mysterious young man from another world. He is kind-hearted and does not enjoy fighting, but when he must, his style is centered around technology. Here’s this artwork. I’d be lying if I said I didn’t think he was a girl at first. The magazine also dates the game for a January 26, 2012 release–only a month after the PlayStation Vita launches in Japan. A bit sooner than expected.